People make an average of 221 food-related decisions each day — although most are only aware of making a fraction of those choices. The rest are often influenced by a variety of factors, including subconscious environmental cues. 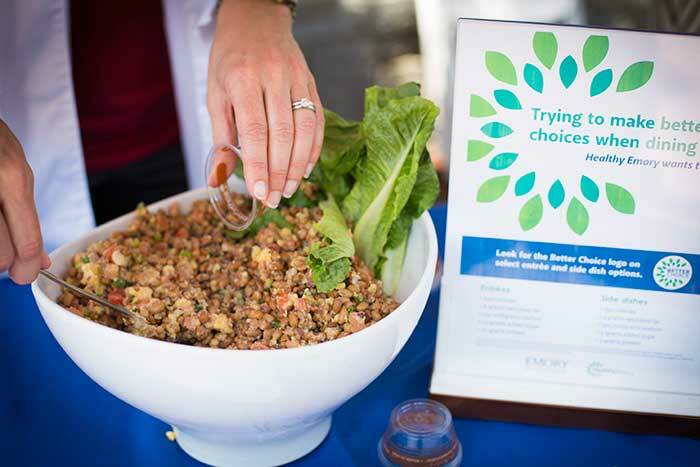 To promote a healthier environment for staff, faculty and students, the Better Choice initiative is an enterprise-wide collaboration among Emory University, Emory Healthcare and Bon Appétit, the management company that oversees the dining facilities at Cox Hall, Oxford Dining, the SAAC Café, Dobbs Market and the Rollins School of Public Health. The Healthy Emory Food and Nutrition subcommittee that led the charge spent months preparing for the rollout. Because the label is based on standardized nutritional content for each serving, the team calculated the nutritional content of existing recipes, tested and refined recipes, and identified potential logistical challenges involved in a system-wide rollout, including training, labeling and menu planning. “We are excited about seeing this come to fruition after all the hard work by our teams,” says Lynne Ometer, director of food and nutrition services at Emory University Hospital. “Each of our facilities has their own unique needs, but this effort requires a high degree of coordination, collaboration and consistency for it to be successful. The Better Choice labeling system is based on 2015 dietary guidelines on caloric intake, saturated fats, sodium and added sugars. The label for entrees takes into consideration the protein content, while the side dish selection considers the fiber content. Initially, the Better Choice label will be applied to one entrée and one side dish each day, but plans are already underway to evaluate how to expand the guidelines to help people make healthier decisions at the salad bars, sandwich and grill stations, and even at breakfast. “Most of our faculty, staff and students dine at an Emory location 5-10 times per week, or 1-2 times per day,” says Jessica Perry, residential dietitian with Emory University Dining and Bon Appetit. 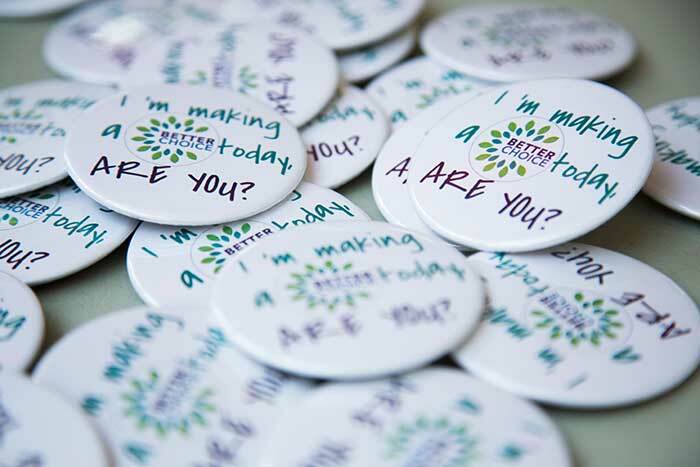 “The Better Choice program gives that subtle nudge to make a healthier choice. 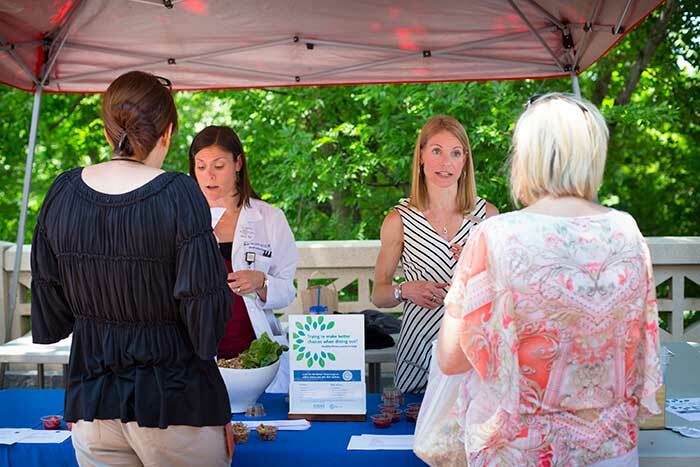 The Better Choice team visited the Emory Farmers Market on May 24 to offer samples and answer questions about the program. 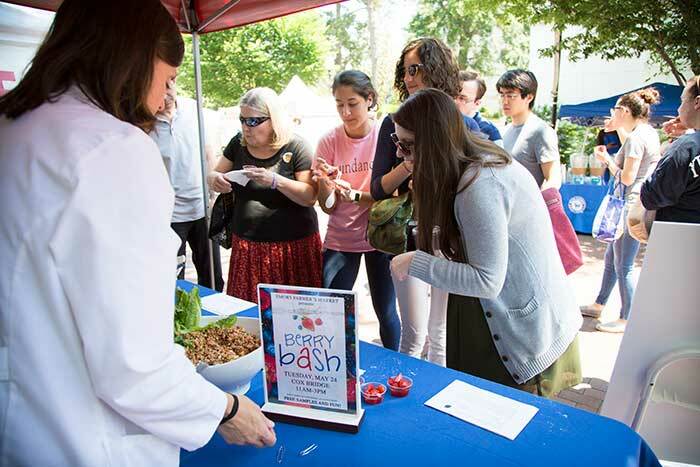 With representation from both Emory Healthcare and Bon Appetit, the Better Choice team treated visitors to samples of two Better Choice recipes: a summer berry salsa with cinnamon pita chips and a Sea Island pea and cornbread salad. And, that is an important aspect of all Emory dining. 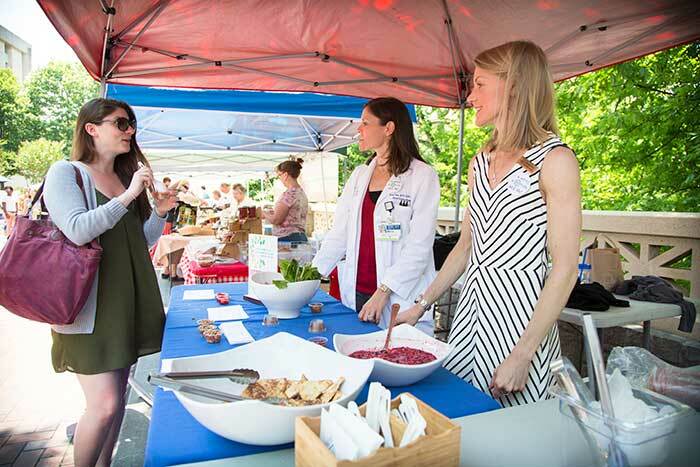 Moira Faris, manager of clinical nutrition at Emory University Hospital, was quick to point out that while the Better Choice label indicates the “sweet spot” of nutrition within a recipe, both Emory Healthcare and Bon Appétit routinely offer healthy recipes. Michael Staufacker sees the rollout as a great way to build on the momentum created by the Colorful Choices challenge.